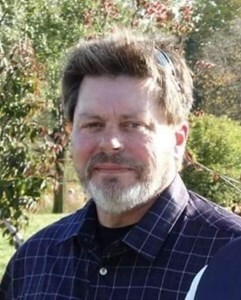 Newcomer Family Obituaries - Darrell Eugene Willis 1959 - 2019 - Newcomer Cremations, Funerals & Receptions. Darrell Eugene Willis, age 59 of Huber Heights, passed away Sunday, February 10, 2019. He was born September 18, 1959 in Versailles, Ohio, the son of Gerald and Shirley Willis. He is preceded in death by his father, Gerald Leslie Willis. Darrell is survived by his wife of 40 years, Bonnie; daughter, Jennifer (TJ) Clough; mother, Shirley Willis; grandchildren, Bailey, Austin, Emmarie and LJ; siblings, Leslie Willis (Kim Jones), Juli (Kim) Rike; as well as numerous other relatives and friends. Visitation will be held on Saturday, February 16, 2019 from 9 am - 11 am at Newcomer North Chapel (4104 Needmore Rd., Dayton, Ohio 45424). A funeral service will begin at 11 am. To share a memory of Darrell or leave a special message for his family, please click the "Share Memories" button above. Add your memories to the guest book of Darrell Willis. My deepest condolences to Bonnie and the family. Rest in Peace Darrel. Sad to hear this news concerning Darrell. We grew up together, fought local bullies together and fought with each other! But always remained friends. We camped out in Darrell's back yard in the summer time. Chased girls together when we got older. Rode our bikes with a third friend, Mike Frame from Huber Heights to Rocky Fork lake to go camping and fishing, for teenage boys, that was quite the ride! I remember the last time I heard his voice, he called me on the phone to tell me that Mike Frame had been killed in a car wreck. There was such pain in his voice, it was the first time either of us had lost a childhood friend. And today I say goodbye to another. May the Lord bless you Darrell and receive your soul into his kingdom. My thoughts and prayers are with you, his family. Very sorry to hear about Darrell. My condolences to Bonnie, Jennifer, Shirley, Leslie, and Juli. You all are in my thoughts and prayers. Remembering being so nervous in meeting Darrell. He welcomed me into the family, right away. The late night talks about anything and everything after a long day are going to be missed. As well as looking at the sky full of stars, clouds and even chem trails. Definitely wish we had more time, to do the things we were planning. I feel so honored being his son in law. I don't even know where to start. So many things have gone thru my head. You think you have all the time in the world with the ones you love, but God was ready for my Dad to come home and watch us from above. I would rather have him here, but God knows best. Now that I am 40yrs old, I look back on all the time I had with my Dad. We butted heads a lot, but we are so much alike, I wish I understood him better then. He loved me so much. He was a Great Father. No matter what, he was there for me. He ALWAYS had advise, weather I wanted to hear it or not, I know now it was the best advise. He was a wonderful Grandfather. My kids are so lucky to have had him in their lives. There are so many words left unsaid that I hope he can hear me say them now. Thank you to everyone that has been there for me and my mom. We will always remember the love and support everyone gave us and all the memories everyone has shared of Dad. Heaven is definitely much brighter with him up there and I know he is having the best time seeing his Dad. We are Darrell's Mother In Law and Father In Law and will miss Darrell immensely. Bonnie and Darrell have been together for 40 years and one without the other will be hard to accept. We have had Annual Christmas party's at their home for many years and having a large Family Darrell was always very welcoming to all of us. Having physical problems he has always been very concerned about me coming and going, making sure I get in and out of the house and into the car safely. We lost you much too early in life! Hugs and prayers to Bonnie, Shirley, Jennifer, Bailey, Austin, Emmarie, his Sisters also! Love from us coming to Heaven! Darrell and I were friends growing up. We both had 'cool' bikes and liked tinkering with stuff. From painting his room to working constantly on his Corvair. You could eat off that motor. I remember his Dad kidding with him that he was going to wash the paint off that car. He was a good friend and a truly good person. I'm lucky to have known him. Sincere condolences to the family. We remember Darrell and how he had a love for his hobbies, trains was one thing that he had a passion for and his attention to detail was like no other. Darrell was one of the best diesel mechanics in Dayton. Although we have not had the opportunity to see our Ohio family a lot in the past years our love and connection is forever. My first memory of Darrell was of him knocking on my door when he was about 7 yrs old. When I opened the door, I saw beautiful blue eyes looking up at me. He asked, very politely, if Kenny could come out and play. As he grew older, he was surrounded by his friends in the neighborhood. They made me a little nervous when they built the ramps so that they could soar over them on their bikes. When Darrell grew up, we only saw him occasionally. But when we did see him, he was always smiling and happy to see us. During our visits with Shirley, she told us many times how much he helped her and how much he loved and enjoyed his grandchildren. Darrell was a loving and devoted son, husband, father, and grandfather. And I know that he will be sorely missed. He leaves an empty space that cannot ever be filled. I hope everyone can be comforted knowing that he was happy and that he was always surrounded by the love of his family. And, I'm sure he still had many friends. Knowing Darrell and Bonnie over the years I always saw how wonderful they were together. Although living far away from my cousin Bonnie I had the pleasure of seeing Darrell in 2017 at a mini family get together and Darrell was full of happiness and joy with his family and grandchildren. Truly I could see the contentment and happiness. Darrell was snapping pictures of everyone and really enjoying the gathering of family. I've heard of the charity and ways he and Bonnie reached out to help others. Memories will be held precious in all our hearts and never forgotten. What a great human. He will be sorely missed. I’m sad for Bonnie, Jennifer and the whole family. Prayers for peace. I will miss our political conversations. Fly high, Darrell. We’ll see you again. I had the pleasure of working with Darrel for 12 years. He was always one of my go to guys when I needed something. He was dedicated, loyal and always willing to help no matter what. Darrel was one of the few guys that the working relationship turned in to a friendship. Darrel and I had many talks about a lot of things but one thing that always came up when talking with him was his family. He loved his family very much and he was proud of them and he was never short on words expressing that. Darrel will certainly be missed. To the family I apologize for being out of town and not able to make it back in time. I sincerely wish I could be back in time. I am sorry! Left us to early, gone, but will never be forgotten! my husband & i have worked with Darrell for years since our "Victory Express" trucking days in Medway. What a shock to hear this news of a wonderful & kind co-worker who had a great sense of humor & would always make us laugh & put a smile on our face -that we lost him. He would always ask us how we were doing- pick on me because i was married to "Mike" & share his photos of his grandkids - who he was very proud of & of course would ask how our kids are doing. We enjoyed eating a Christmas lunch with him too- lots of laughs were shared with him. We are very sorry for your loss of a great guy- he will be missed by his US Xpress family - the office & shop. In the Victory Days he would come from the Shop & come to the Drivers building & take the time to see us & eat with us when we had our luncheons together. We always knew it would be a good hour with jokes & laughing with Darrell around- RIP our friend. You will be missed. Darrell will truly be missed by all who knew him. He was such a great guy and always willing to help no matter what. I will miss seeing and talking to him at football practices and games. My heart breaks for you all.